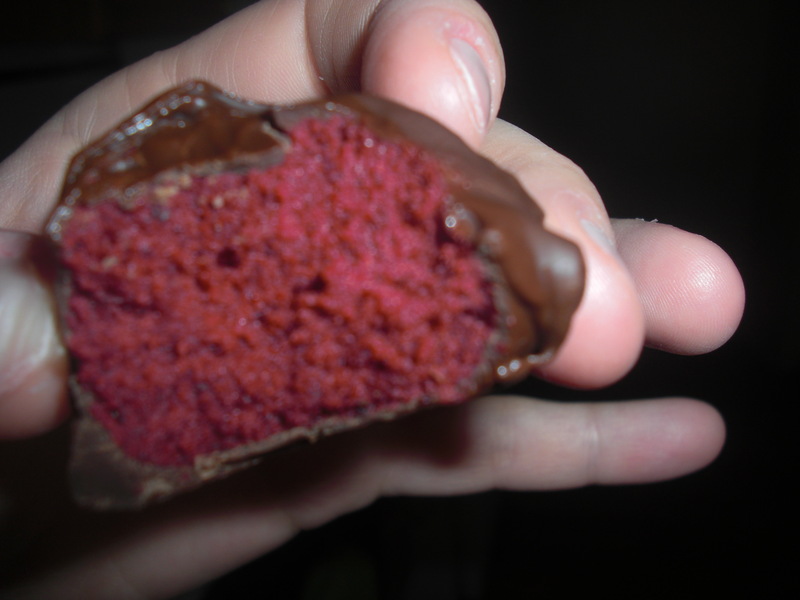 I was introduced to cake balls last summer at my job. The interns organized weekly Friday potlucks and I (of course) monopolized the baking requirement. All summer I heard “I just really want to bring it cake balls!” from my co-worker but alas, she never had the chance. As you’ve probably seen at your local Starbucks, they have started selling cake pops for their 40th anniversary. You could easy stick some wooden dowels into your cake balls to make them into cake pops, but I didn’t have any on hand. 2.After cake is cooked and cooled completely, crumble into large bowl. 3. Mix thoroughly with 1 can cream cheese frosting. It usually works best when you use your fingers, but it will get messy! 4. 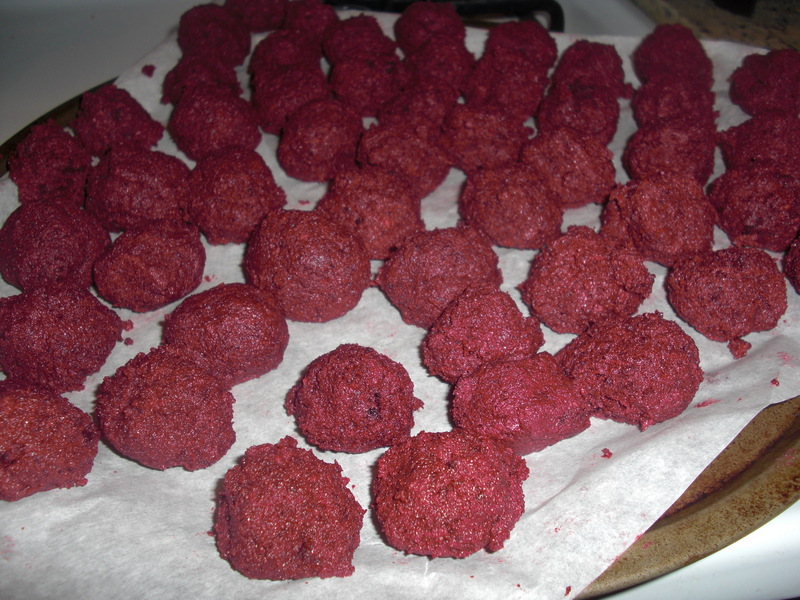 Roll mixture into quarter size balls and lay on cookie sheet that is lined with wax or parchment paper. 6. Melt chocolate in microwave per directions on package. (Read before you melt chocolate: For best results, melt chocolate in 30-second intervals! Stop to stir and to ensure you don’t burn the chocolate. For white chocolate, make sure that the container you are using is NOT WET. If the bowl is wet, the white chocolate will turn hard and will not melt). 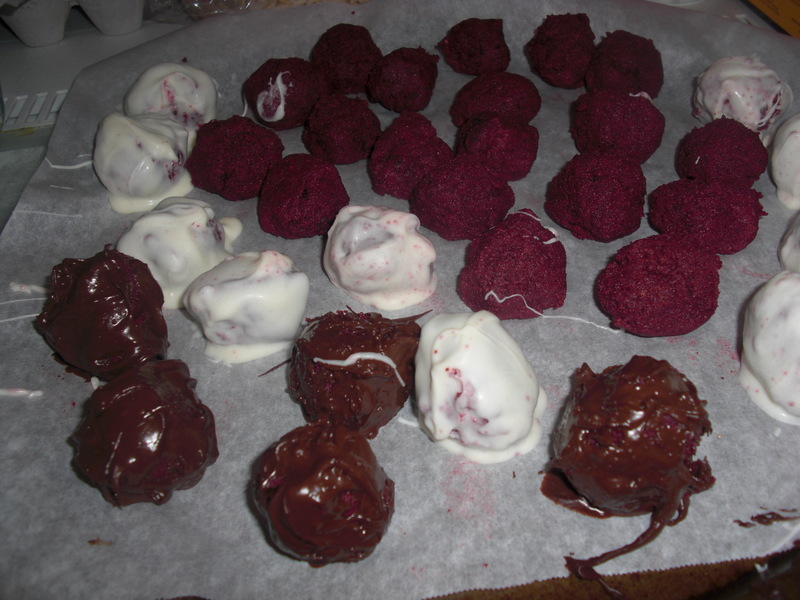 I like to keep these in the fridge in a tupperware container–this way the cake balls stay fresh and the chocolate won’t melt. This recipe has sneaked its way into my heart, my cook book, and my stomach. I can already tell that this will be a dessert that I will make over and over. It’s a very simple recipe, and I love that you can easily switch the flavor and cake and frosting to your liking. And, it’s roommate approved! YUM! Do you guys have any favorite cake flavors that you’ll be using in this recipe? Let me know–I love comments! Happy baking readers! And remember–it’s a cake walk!